Associate Professor of Organizational Behavior Diane Bergeron pens this Op-Ed about the intangible functions of a job that often make it more difficult for women to advance in their careers. The presidential campaign forced the American people into a gender-based introspection that questions how we treat one another. Events during the campaign have prompted men and women to consider the debilitating and disgusting banter of “locker room talk,” as well as the impact of less obvious but still unequal treatment of women in leadership positions. With the election behind us and a new administration coming into power, we have a valuable opportunity to reflect on the changing roles of women in leadership throughout all sectors of society. Perhaps no sector will benefit more from candid scrutiny of gender equality than the corporate world. Although many companies have worked hard trying to build organizations with gender-neutral cultures, establishing a system that is truly independent of gender bias requires an even higher level of commitment and a closer look at the subconscious assumptions operating in the organization. Like many other sectors of our society, the world of business still tends to evaluate women and men according to standards that are unequally applied and unfairly interpreted. Often, women labor under additional burdens that men do not face. Not only do women deal with these burdens on a daily basis as part of their perceived responsibilities, but they also face career-altering implications during formal evaluations with their bosses if they fail to live up to the standards implicitly expected of them. Many of these expectations fall into the category of intangibles. Women are much more likely (and expected) to perform intangible functions that provide significant, but hard-to-measure, value to an organization. If you consider an organization as a diagram shaped like a bull’s-eye, the inner circle represents the tangible, measurable aspects of a job, while the larger, outer circle includes the intangible behaviors that also provide value to an organization. Women are typically expected to work in both circles while men are usually allowed to concentrate their efforts in the smaller circle. These outer-circle functions may include helping new employees settle into the job, mentoring junior coworkers, attending company-sponsored events, resolving conflicts between coworkers, keeping others informed about company or industry trends and changes, maintaining a positive attitude and a multitude of other tasks that help teams function more effectively and the entire organization achieve overall success. The irony is that these are the very behaviors that provide value to the organization. Research shows that they are related to organizational effectiveness, profitability, productivity and customer satisfaction. Although the value of these activities is unquestioned, women face a challenging situation when it comes to intangibles. Most organizations tend to focus on tangible characteristics when determining the value and effectiveness of an employee. Although these intangible contributions are given some consideration in formal performance evaluations, they rarely translate into other important outcomes such as compensation and career advancement. Even when intangibles are considered, women are generally held to different and higher standards than men. For example, they might not receive sufficient credit for their contributions, or they might be penalized if they don’t engage in such activities. And, to make their situation even more difficult, if they do spend a significant amount of time and effort on the intangibles, they have less time to devote to the measurable, tangible contributions that carry more weight in pay and promotion decisions. This leads to a catch-22. Women appreciate the value these behaviors create for the organization, but focusing too much effort on them may slow their career progress. At the same time, there may be negative consequences if they don’t perform the intangible functions expected of them. Men, on the other hand, do not face this quandary – those men who do take on such tasks are often over-rewarded for doing so. As a result, women are reluctant to change their behavior, even if they recognize that it may not be beneficial to their careers. Although colleagues may appreciate such actions and praise them for their efforts, other rewards such as pay raises and promotions may not be forthcoming. Re-evaluate the performance management systems (both formal and informal) and review performance evaluations with a critical eye to ensure that tangible and intangible behaviors are both encouraged and rewarded and that the system is not biased against women. Compare how different types of behaviors are rewarded. Do certain tangible, measurable characteristics receive the most attention, at the expense of intangible behaviors that may contribute just as much to organizational effectiveness? Acknowledge that women are more often expected to take on intangible responsibilities, and adjust the performance evaluation process to recognize that fact. Train managers to recognize subtle implicit biases in both their expectations and rewards. Consider the balance between employees’ self-interest and the organization’s best interests. Are these interests truly in balance, or are certain employees (notably women) disadvantaged because of their roles and the expectations of them? The vast contributions of women in the workforce can no longer be questioned. In an effort to raise awareness of how inclusion benefits businesses around the world, organizations such as Catalyst have conducted years of research to document the value of a diverse workplace. Traditionally male-dominated companies such as Deloitte also have made great strides in correcting imbalances in the workforce that they feel are hampering their abilities to grow and serve their customers. Yet, as Deloitte notes in its report on “The Gender Dividend,” while most business and government leaders agree that women hold significant potential for transforming companies, countries and economies, “that doesn’t mean they’re doing anything to take advantage of this development.” Until more organizations undergo self-scrutiny and look at the basis upon which they evaluate and reward employees, gender imbalances will remain. Now is a perfect time for employers to do some serious self-scrutiny on gender issues. As researchers Sarah Damaske and Adrianne Frech note, women are increasingly staying employed throughout adulthood and not exiting the workforce when they have children. These women will be looking for organizations that are more inclusive and more responsive to their needs, and they will be more likely to “vote with their feet” when they make their next career decisions. 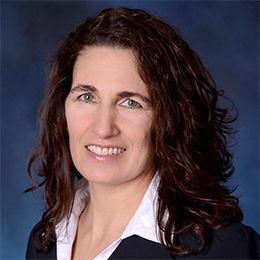 Diane Bergeron, associate professor of Organizational Behavior in the Weatherhead School of Management, has done extensive research in the areas of organizational citizenship behavior, faculty career outcomes, stereotype threat and work performance. Her conversation focused on the factors that impact how organizations knowingly and unknowingly discriminate against women. LEARN MORE about Weatherhead's work on Women in Leadership.